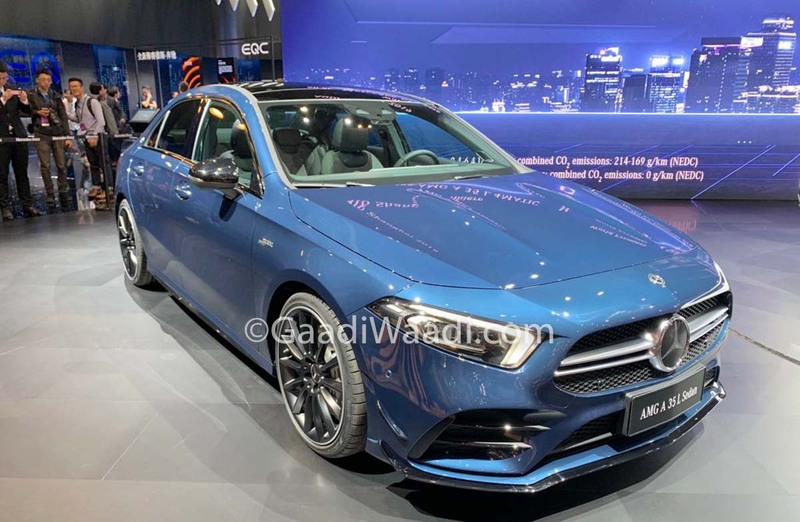 Mercedes-Benz has just debuted the new Mercedes AMG A35 L Sedan at the Auto Shanghai 2019. The new model has been designed exclusively for the Chinese market, which has traditionally favoured long wheelbase versions of premium vehicles. It offers the same performance as the regular A35 Sedan but has a better interior comfort. 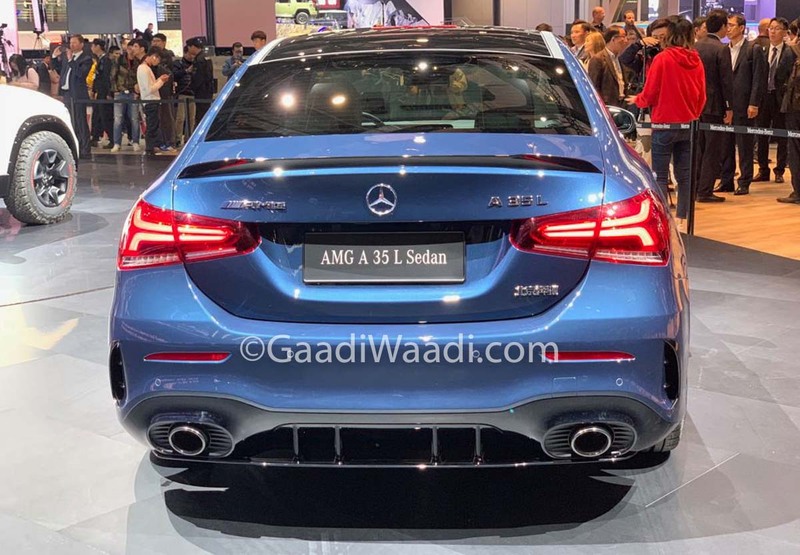 Compared to the standard Mercedes AMG A 35, which has a wheelbase of 2,729 mm, the new Mercedes AMG A 35 L sedan has a wheelbase of 2,789 mm, which is a full 60 mm longer. This has led to more legroom for the rear passengers, which is something that is very important for chauffeur-driven premium car buyers. The Mercedes AMG A 35 L sedan is powered by a 2.0-litre turbocharged four-cylinder engine that produces a maximum power of 302 hp and a peak torque of 400 Nm. The motor comes mated to an AMG Speedshift seven-speed dual-clutch transmission for the regular version. Also available is an AMG Performance 4MATIC variable all-wheel-drive system that puts down all the power to all four wheels. The car can accelerate from 0 to 100 km/h in just 4.9 seconds and has a top speed of 250 km/h. 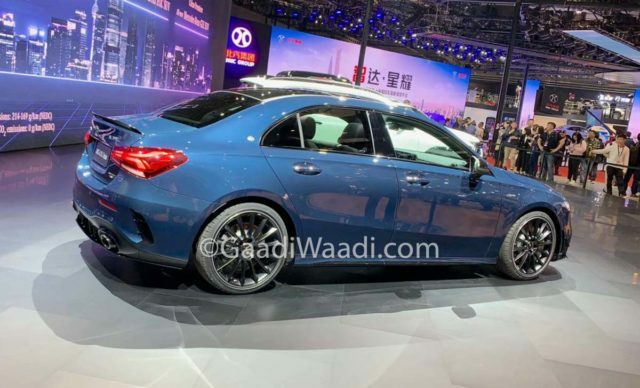 Production of the Mercedes AMG A35 L sedan will be taken care of by the Beijing Benz Automotive Co, which is a joint venture between Daimler and BAIC Motor. All trims of the A 35 L 4MATIC sedan come equipped with AMG Night Package, black-painted 19-inch alloy wheels, a sporty rear diffuser, and a boot lid spoiler. The interior of the Mercedes AMG A 35 L features the company’s MBUX infotainment system. The new model also comes with a fully digital instrument cluster that displays vital information, including G-Force and engine data. It is expected to be a big hit among Chinese buyers.